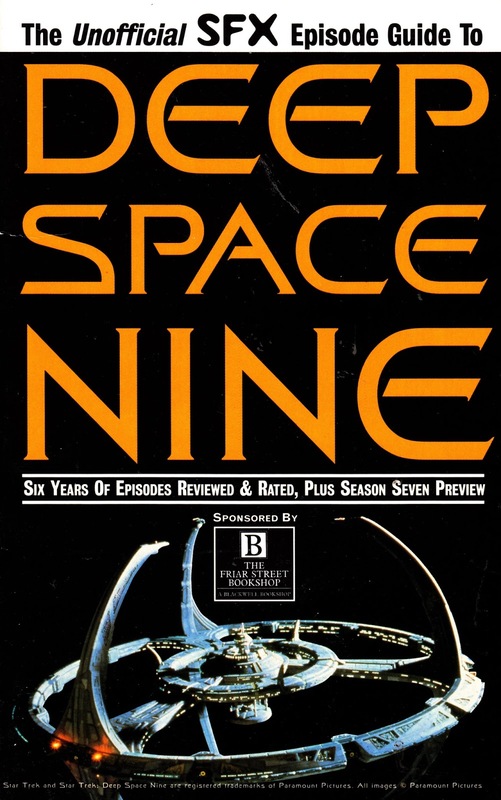 From 1998, another of the occasional paperbacks that issues to be presented free with SFX MAGAZINE: THE UNOFFICIAL SFX EPISODE GUIDE TO (STAR TREK) DEEP SPACE NINE. 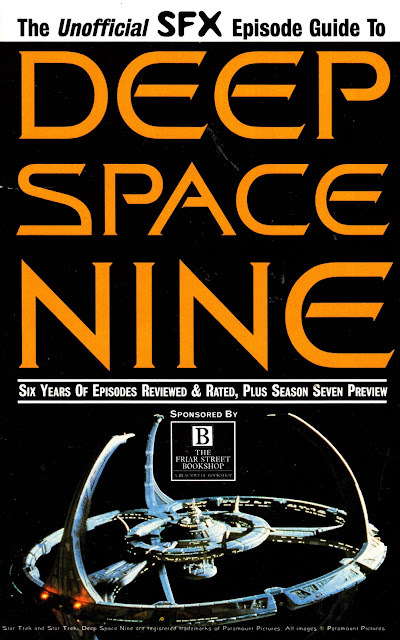 As with the previous books, this one contained all-new material but, unlike the others, this was dedicated to one long-running show rather than several more - ahem - short-lived ones. This easily gives the paid-for episode guides a run for their money in terms of coverage and is well worth grabbing should a copy ever pop up in a charity shop or other likely location. 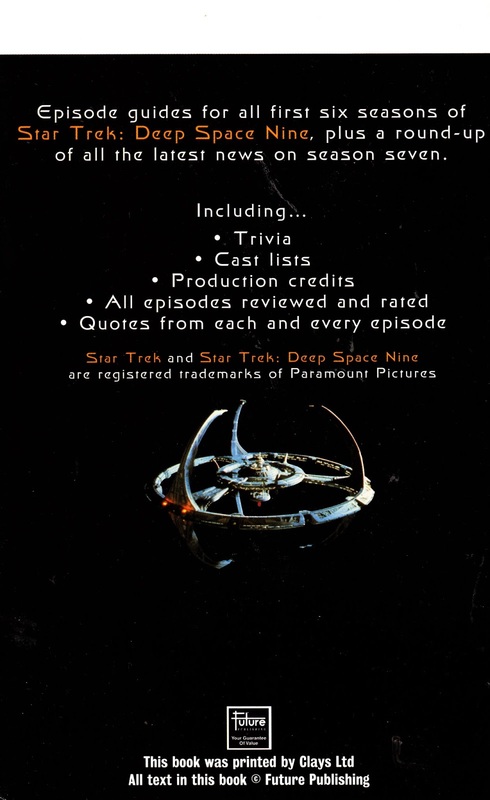 It does unfortunately only cover the first six seasons (with a tickle of the seventh) which means it can't provide a comprehensive overview of the most interconnected of the Treks. apparently, SFX have another spin-off title out this week called HORRORVILLE. its due to hit the shops on Thursday.